Piano Accompaniments enhance musical instruction! 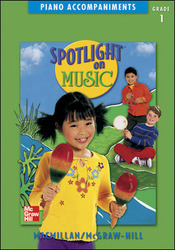 Replicate the vocal and instrumental arrangements used in the program's song recordings. Accompaniments feature Broadway for Kids and John Jacobson, with choreography instructions noted at point of use within the arrangements.